Also on the program will be round eight of the Polar Ice Midget Track Championship and round eight of the NuPave Formula 500 Series, plus Compact Speedcars, Lightning Sprints and Formula 500 Juniors. Having created history in becoming only the second Queensland driver to win the Australian Championship, Scheuerle returns to the scene of his greatest triumph fully aware that the #1 on the tail tank serves as extra motivation for his rivals and brings an expectation of excellence every time he hits the track. Given his 25 years of racing experience, Scheuerle will be unfazed by the pressure that comes with being officially recognised as Australias best and will now be focussed on his mission to defend his track championship crown. Given the sense of anticipation that accompanies Luke Oldfield every time he hits the track, an outstanding Australian Championship campaign that saw him qualify fourth before eventually finishing 15th was seen as disappointing by some but, if Oldfield was disheartened by the result, he certainly didnt dwell on it too long, storming to victory in Toowoomba last Saturday night with another of his typically hard charging performances. The last couple of seasons have seen Lachlan McHugh develop into one of Australias finest young prospects and, having dominated the early rounds of the ECL Track Championship prior to heading interstate, he will be looking to reacquaint himself with victory lane, as will Peter Lack who currently sits third in the track championship standings standings behind Scheuerle and Oldfield in what has been a season of remarkable consistency thus far for the Withcott-based team. The only others in the field who have featured on the podium so far this season are Brent Kratzmann and Allan Woods, however, having both qualified into the Australian Championship final, Ben Hilder and Randy Morgan might just be the next. Darren Vine and Rusty Whittaker look likely to resume their battle in the Polar Ice Midget action, with Vine holding the upper hand at the moment courtesy of his win in the previous round. Whittaker finished second on that occasion and the former track titleholder and state champ will be determined to vanquish Vine and make another visit to victory lane. Troy Ware is a feature winner at Archerfield and Glenn Wright was running strongly in second spot at the previous round before making a smoky exit, while Compact Speedcar graduates Mitchell Rooke, Tim Farrell and Riki Harrison are also contenders in company with Brad Dawson. However, it might just be the return of Brock Dean that proves the biggest hurdle for the field to overcome in their quest for success. Similarly, despite having attracted a very strong 19-car field, round eight of the NuPave Formula 500 Series also seems likely to emerge as a battle between two; namely Australian champion Liam Williams and his arch-rival Ryan Skennar. The pair have dominated the results thus far and continued their reign last weekend in Gympie when they finished first and second respectively in the feature race. Their biggest threat this weekend seems likely to come from Kristin Brown, Jarrod Bampfield and Tarhlea Apelt. The return of former national champs Dave Fanning and Kurt Wilson adds some spice to round nine of the Everyday Finance Solutions Lightning Sprint Club Championship, while Compact Speedcars are still struggling for numbers but have mustered an 11-car field. Gates open at 4.00pm and early racing gets underway from 5.00pm. 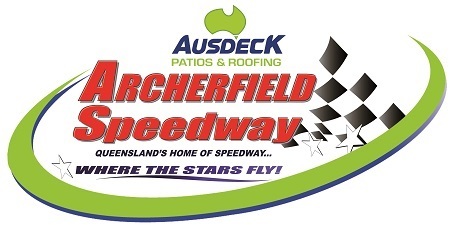 Sprintcars hit the track for time trial qualifying from 5.30pm, with the main program set for launch at 6.00pm.